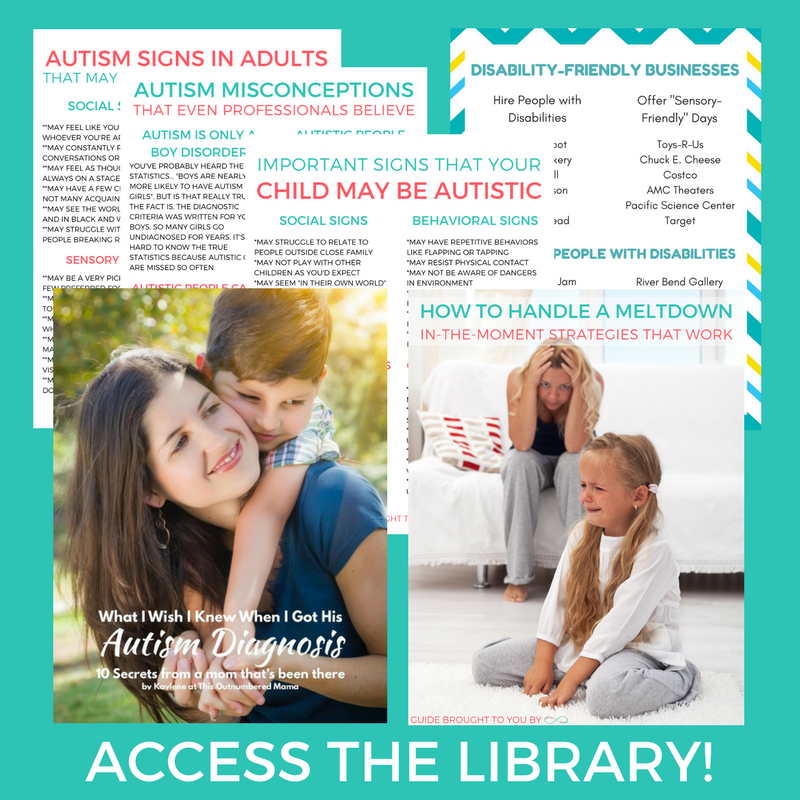 My two youngest boys A-Man and Baby M both have sensory processing disorder. They have extreme issues with new textures, and specific textures can send them into a panic. One of the best ways to help kids with sensory processing disorder is to create sensory bins for them to play with! Sensory bins also help neuro-typical toddlers and preschoolers, I just use them for my SPD kiddos. So what is a sensory bin? Essentially it is a bin that you fill with something [it could be anything] like rice, beans, sand, puff balls, pasta, or anything small with an interesting texture. Now, you could leave it just as it is, and some do that. However most people put in some scoops and containers, and many people add toys to make the sensory play more fun. A lot of people even make themed sensory bins, which is what I’m going to talk about today! I am not very creative, and when A-Man got his sensory bin for Christmas it had rice, some Christmas erasers from the $1 store, a couple of scoops, and some $1 store Christmas figurines. I called that “Christmas themed”. Luckily, there are many moms more creative than me in the world, and they’ve created some really awesome sensory bins that I’m sharing today! I love this car themed sensory bin from Buggy and Buddy. I also really like this rainbow themed sensory bin on eHow. This winter themed sensory bin from eLeMeNOP Kids looks like so much fun! This sand and rocks sensory bin from Frogs Snails and Puppy Dog Tails is perfect for a construction loving boy. My Nearest and Dearest has an ocean floor sensory bin that looks adorable and fun. This Valentines sensory bin from A Little Pinch of Perfect is perfect for the holiday, and it smells like strawberries! I love this winter sensory bin from The Imagination Tree, and I’m sure any frozen fan will too. This flower garden sensory bin from Plain Vanilla Mom is great for gardening season! This post on Parent Savvy shows two ways to make an Arctic Sensory Bin. Kids Play Box has an adorable pond sensory bin that looks super fun! Rubber Boots and Elf Shoes has a Very Hungry Catterpillar sensory bin based off the popular children’s book. So these are some of my very favorite sensory bins! 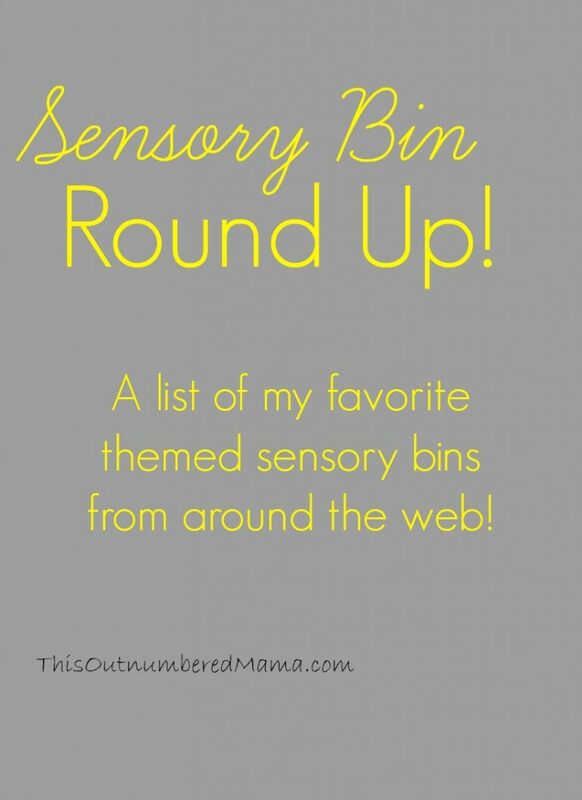 To see all of these and more resources on sensory bins and activities, be sure to check out my Pinterest board! Follow This Outnumbered Mama’s board [Sensory Bins/Activities] on Pinterest. « I’m a Mean Mom, and That’s Fine By Me.